This is the finish that off to the brick part of the asperities on the frosted side. This effect is achieved by sanding manually raw on the sandblasted brick. 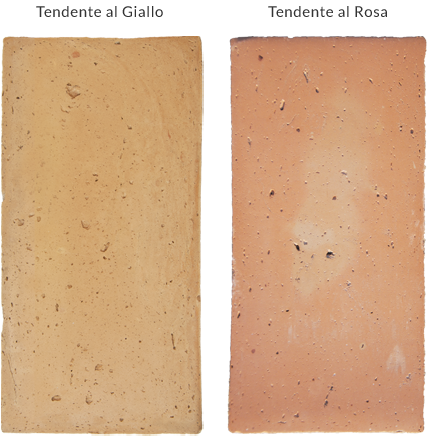 The result is to soften the surface without altering the appearance of the handicraft clay which at this point will no longer be uniformly rough (frosted) but will present parts of softer surface and leveled to the touch. The surface of the brick appears to have a look worn by daily footfall that has now lasted for many years. This finish is used almost exclusively for flooring both internal and external. And ‘particularly suitable for historic restoration and renovation of old farmhouses. The color of the joints and the amplitude of the same during installation determine, in our view, the use to which it is intended: in a classic (large joints and gray) or modern (very narrow escapes and matching the color of the brick) ideal for warm and cozy environment. 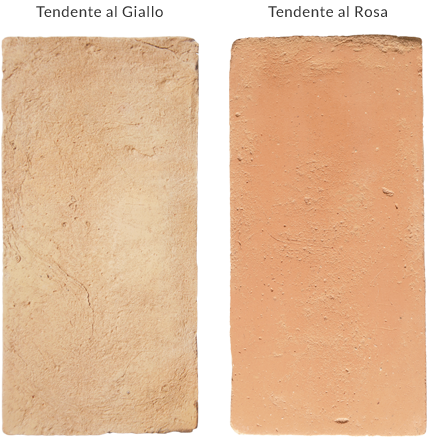 It ‘a good idea to re-sand the surface with the aid of single brushes and fine sandpaper after the installation and before the treatment: the result will be to remove the small bumps between a brick and another due to the laying of a material made by hand, while maintaining the same character and style. A brick carpet all equal but different from each other with mild and warm tone is the result of a wise processing that begins with the earth extraction and ends with the floor treatment: all managed with skill, dedication and passion is part of Fornace Bernasconi.